The Wikipedia Women's Workshop Bangalore 2013 was held on March 8, 2013 at Servelots Infotech, Jayanagar in Bangalore. It was organized by Wikimedia India. Dr. U.B. Pavanaja participated in the event. 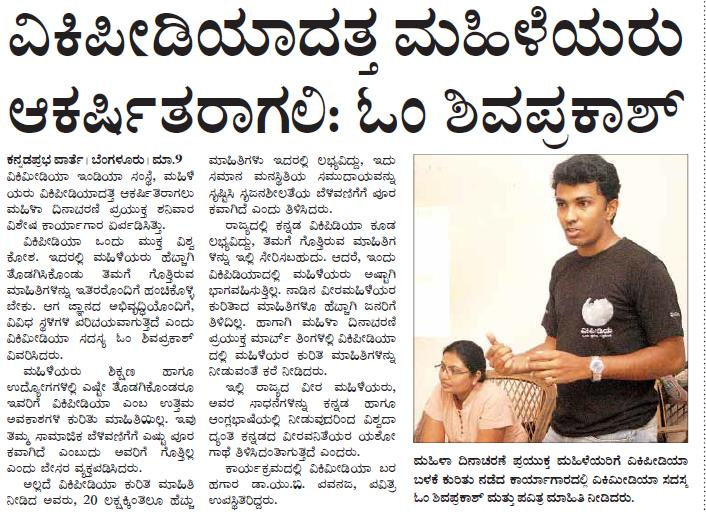 The news was covered by Kannada Prabha on March 9, 2013.